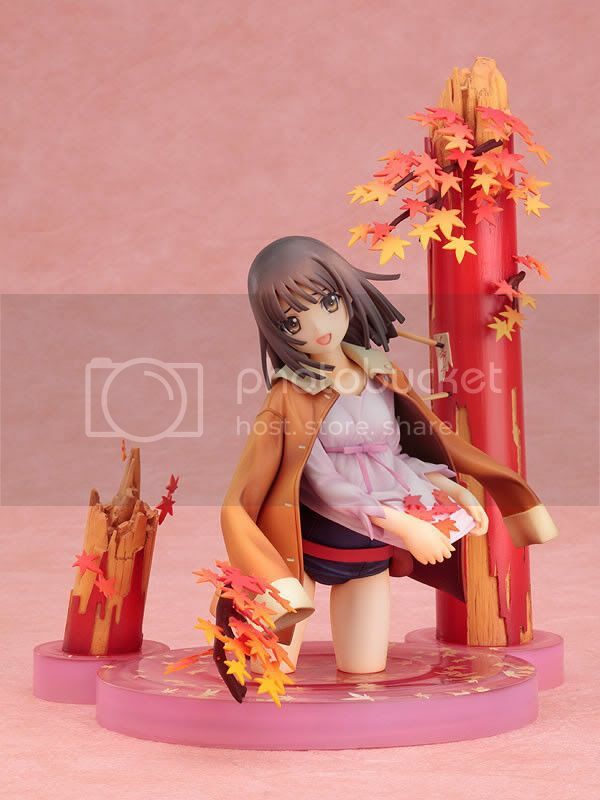 Good Smile Company is going to release the Sengoku Nadeko 1/8 PVC figure from the light novel/anime Bakemonogatari. 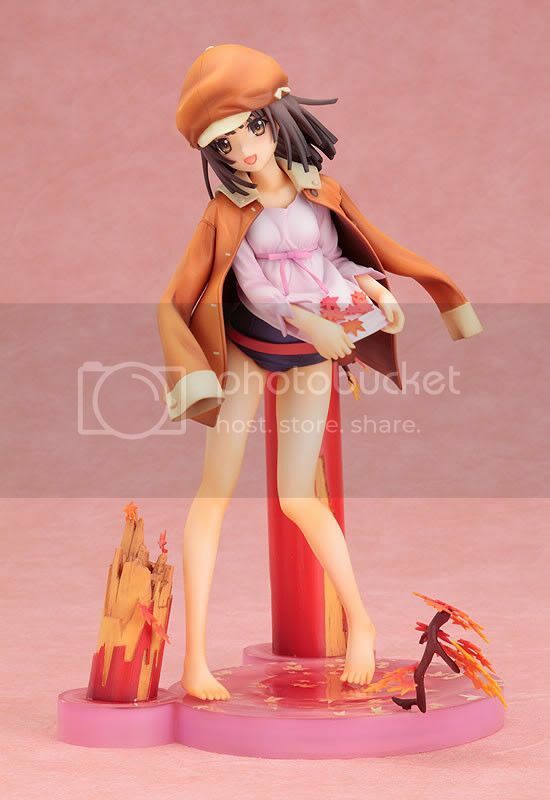 This figure is approximately 200mm in height and will be released in January 2011 around 9,800 yen. 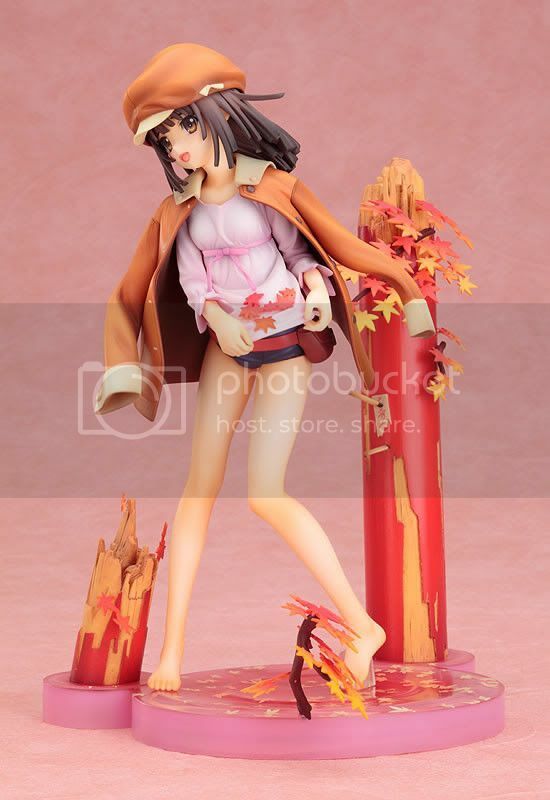 But I think this figure will fit for any Nadeko fan out there. 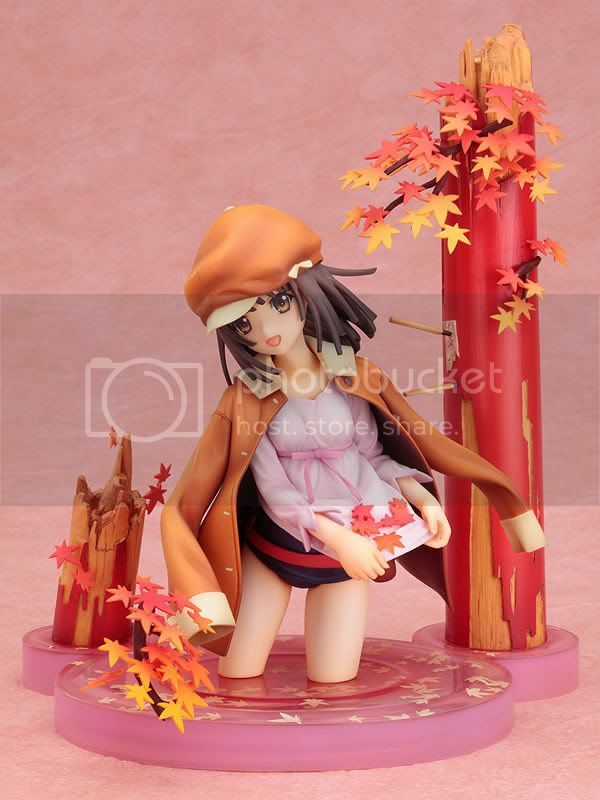 This Nadeko is cute and has a nicely orange-red tone diorama with lovely autumn leaves combined with pink shiny base. Her hat and jacket are removable too. Good Smile once more created one gorgeus figure. Loved the detail!